Tom Cruise Wants You To Turn Off Motion Smoothing and Here's How! Tired of watching movies with the "soap opera effect" turned on? This guide is here to help you deactivate it! Motion Smoothing, otherwise known as motion interpolation or "the first thing I turn off when I unpack a new TV," is a common yet divisive feature found on many modern displays. 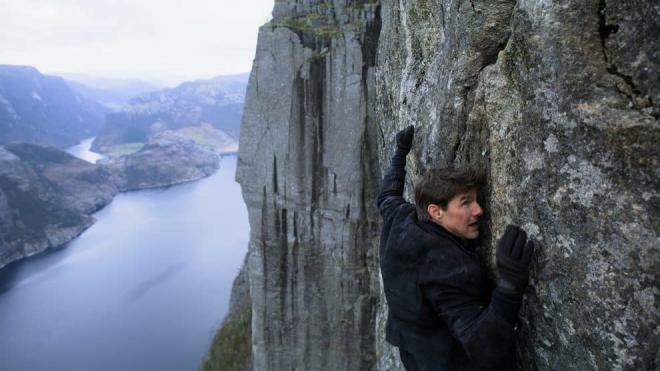 Though the tech can have its benefits, many viewers prefer for it to be disabled... including movie stars like Tom Cruise. Sounds like a mission worth accepting to me, but just what exactly is Motion Smoothing and how can users turn it off? Well, let's break it down! Motion Smoothing is a picture feature implemented on most modern displays. The tech is designed to reduce blur and produce a more fluid and sharp image during motion. To do this, the setting artificially increases the natural 24fps cadence of film content to match the higher refresh rates used on many consumer TVs by generating and interpolating extra frames in between existing ones. Unfortunately, though the resulting picture is indeed smoother, this technique typically results in a "soap opera effect" with an unnatural and overly processed appearance. In other words, it might make sports look more fluid but it often makes movies look like cheap high-speed video recordings. Select Intelligent Frame Creation and set it to "Off"
Navigate to Action Smoothing and set it to "Off"
Navigate to Motion Enhancement and set it to "Off"